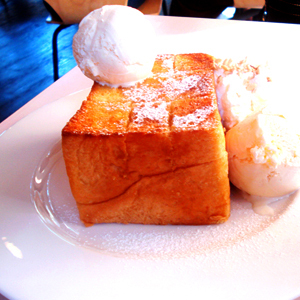 Famous for the Shibuya Honey Toast, a soft toasted bread slice with honey, vanilla ice cream, and powdered sugar, After You Dessert Café is prime stomping ground for the sugar depraved in Thonglor. Of course, you can also come here for an excellent all-day breakfast menu because let's face it, who doesn't like breakfast? The Café is usually full and you'll have to wait in line for a table during peak hours so plan accordingly. Take a Taxi to Thonglor 13, After You will be on the right side. Here's our mouth-watering round up of delectable desserts.